PapersMart writes original essays for money on any topics and subjects. This section houses a selection of essays written by Holmes scholars and expert enthusiasts alike. 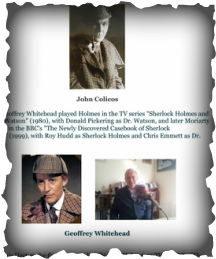 From the history of female or black Holmes actors, to a closer examination on the influence of Holmes scientific methods - you are sure to find something for every type of Sherlock Holmes fan. 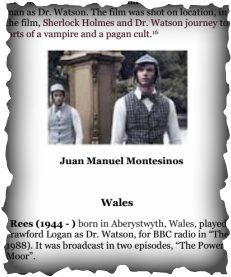 An indepth study of the history of Sherlock Holmes in film and radio in Poland. 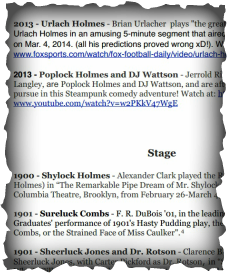 An in depth study on the influence of Sherlock Holmes in the music industry. Far bigger than one would think! Is It Any Longer Always 1895? 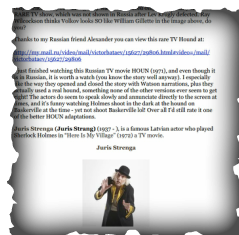 An in depth analysis on why the 2013 Russian Sherlock Holmes series was not the critical or commercial success it could have been. 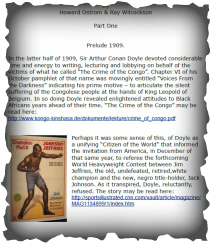 A Chronological Reference List of Biographies and Quasi-Biographies about Sir Arthur Conan Doyle. 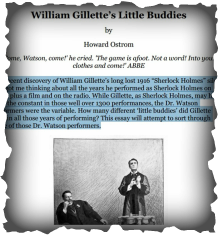 William Gillette performed as Holmes at least 1300 times on stage, but just how many Watson's did he go through during this extensive feat? And who where they? 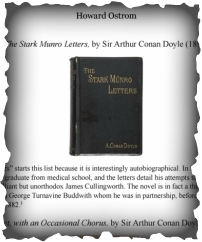 Many Sherlockians have described Moriarty and Holmes based on these words as the light and dark sides of the same coin, or the yin and yang. In this essay we examine just what exactly is know about Moriarty, and how like Holmes is he really? This essay concentrates on the many of the comedians who have lampooned Sherlock Holmes since shortly after he first graced the pages of “Beeton’s Christmas Annual” in 1887. It also includes parody, burlesque, satire, and caricature mentions of him also. Sherlock Holmes has been played by many many people, but why stop there? Well, they didn't. 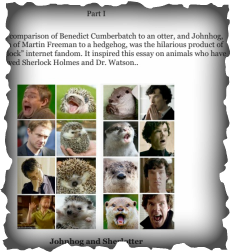 Through history he has been portrayed in literature and film as a variety of animals; this essay examines the history of the topic. 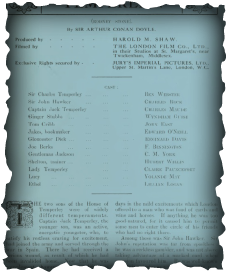 "Who's on First, It's Not So Elementary" - takes a look at the first Sherlock Holmes performers in over 60 countries. character for children and adults alike. This is largely thanks to the reruns of a television series starring Visaly Livanov as Sherlock Holmes and Vitaly Solomin as Dr. Watson, but they are far from the only Russian incarnation of the Detective and Doctor duo. 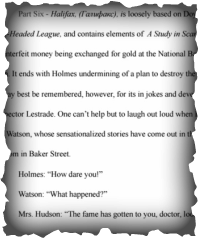 This essay examines the full history of Watson and Holmes actors of the former Soviet state. In Howard Ostroms previous essay series "Silent Sherlock" he uncovered an outstanding 115 Sherlock Holmes films from the silent era, But as we know, Sir Arthur Conan Doyle wrote a great deal more stories than just Sherlock Holmes, many of which actually also saw the silent silver screen treatment - this essay examines just what of Doyles works did indeed attract the attention of the film studios of by gone days . 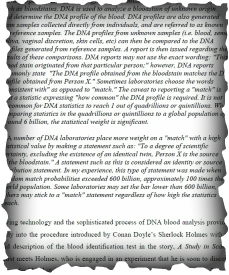 This essay discusses how scientific instruments mentioned in stories by A. Conan Doyle have served as precursors to modern day forensic procedures: the Holmes Blood Identification Test and the typewriter as a writing machine. “Elementary”. Why is this news? Other women have played Dr. Watson before. There was even a Dr. Joan Watson before Lucy Liu’s Dr. Joan Watson. Women have even played Holmes. 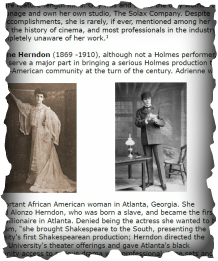 Women have directed Holmes films, penned his radio shows, and have been influential in bringing Holmes to stage. 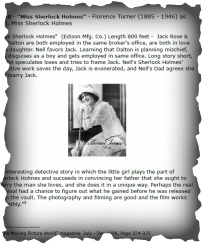 This essay examines the females who have played Holmes and Watson through history. 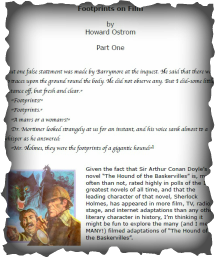 Thanks to old films magazines and trade journals being made searchable by being downloaded to the internet, through universities, libraries, and private grants - Holmes media expert Howard Ostrom has been able to construct an epic essay detailing the era of the "Si-lock". 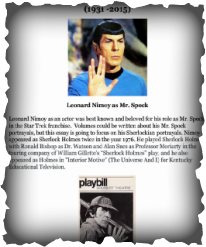 Howard Ostrom and Ray Wilcockson examine the almost unknown history of African-American Sherlock Holmes actors and productions through out history. The brilliant Sherlock Holmes film, “The Scarlet Claw” (Staring Basil Rathbone & Nigel Bruce) was set within the French Canadian village of La Mort Rouge. But thats hardly the only connection claim Canada can lay to a Holmes association. 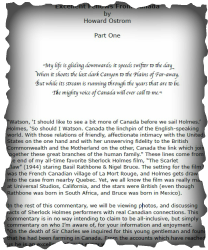 As you will see in this essay which examines the history of the Canadian Sherlockian Film world. Have you ever seen the film "The Hound Of The Baskervilles"? "Which version?" You might reply. For there are many, but just how many are there exactly? Wonder no more! 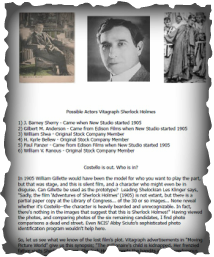 "Footprints On Film" examines the film history of the most famous Sherlock Holmes adaption. 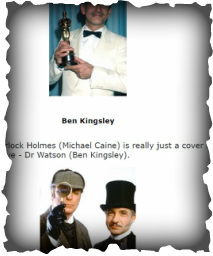 Many actors have played Holmes and Watson as we well know, but just how many of them have been award winning actors? 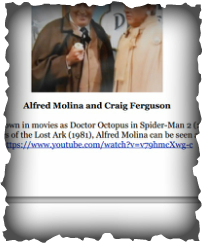 This essay highlights those who been immortalized in Hollywood history as well as Holmes history. Only two of the 60 Sherlock Holmes stories make no mention of London sites. 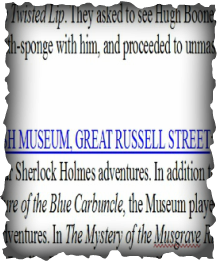 In this abridged version of Thomas Wheeler's presentation speech for the 2014 meeting of the "Southern Sherlockians" in Chattanooga, he examines just some of these London landmarks. WANT TO SUBMIT AN ESSAY? If you are interested in seeing your own essay published on the website use the contact form or email nplh221b@gmail.com with your proposal for consideration.